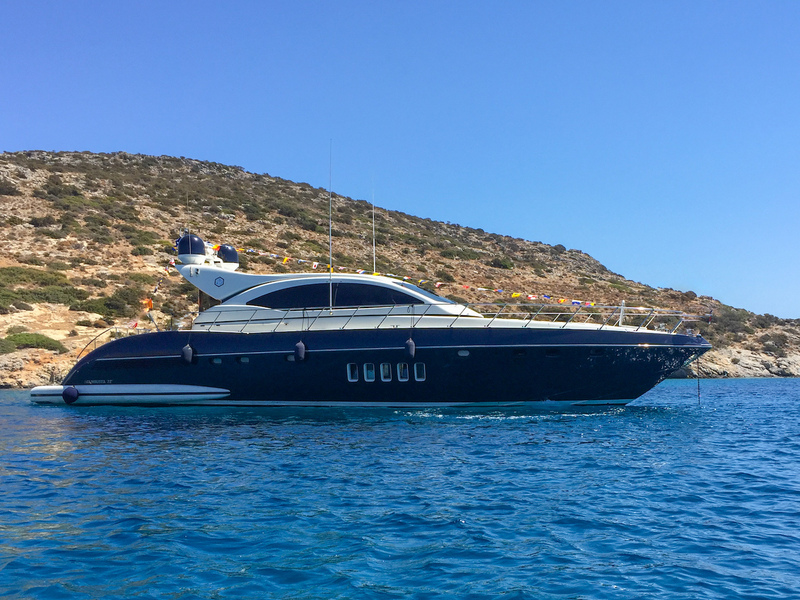 Luxury yacht EUDEMONIA KYVOS was built by Mangusta (Overmarine Group) in 2004 and was last refitted in 2016. 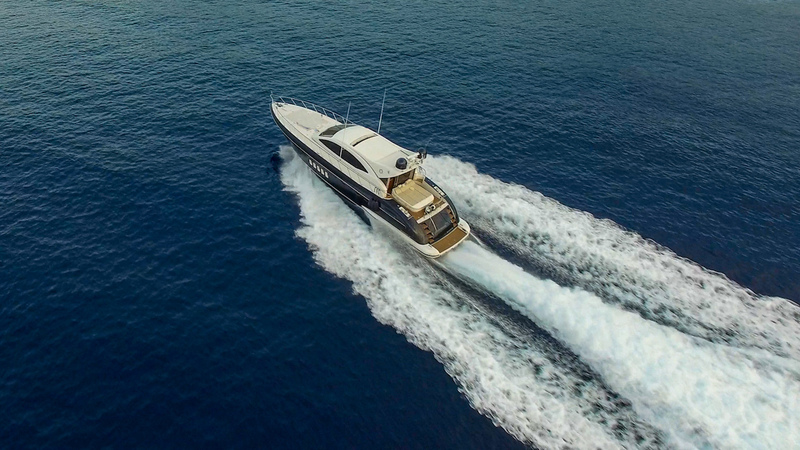 Constructed with a GRP hull and superstructure, this speedy open yacht cruises at 35 knots and sleeps a maximum of seven guests over three cabins, and eight guests can be on board while cruising. 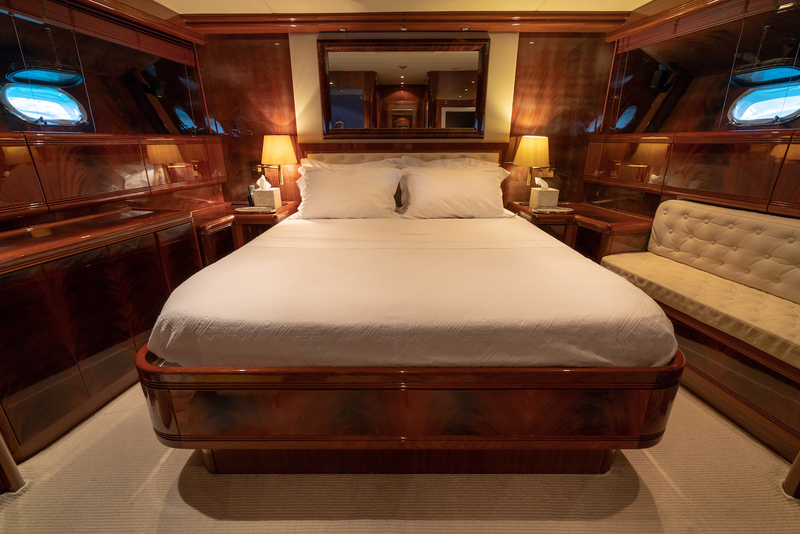 The crew of two will ensure that every guest on board receives the first-class service. 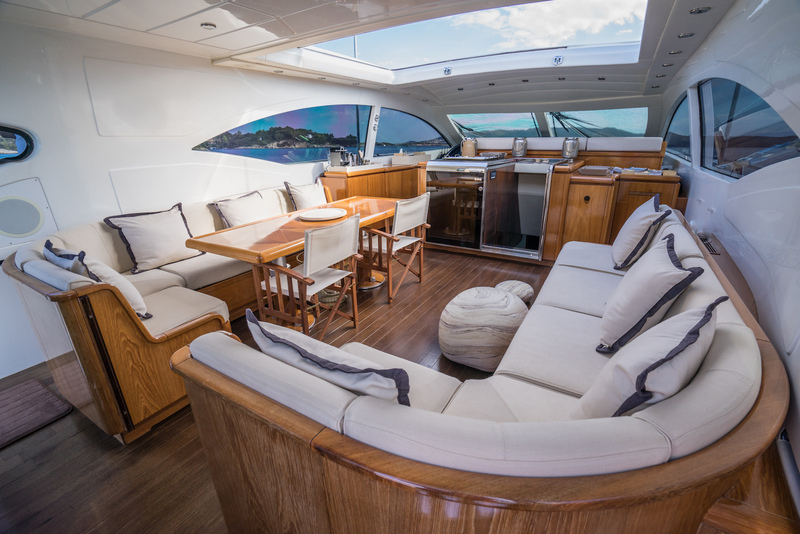 The lower deck has a broad swim platform for guests to board with ease and sunbathe beside the water. 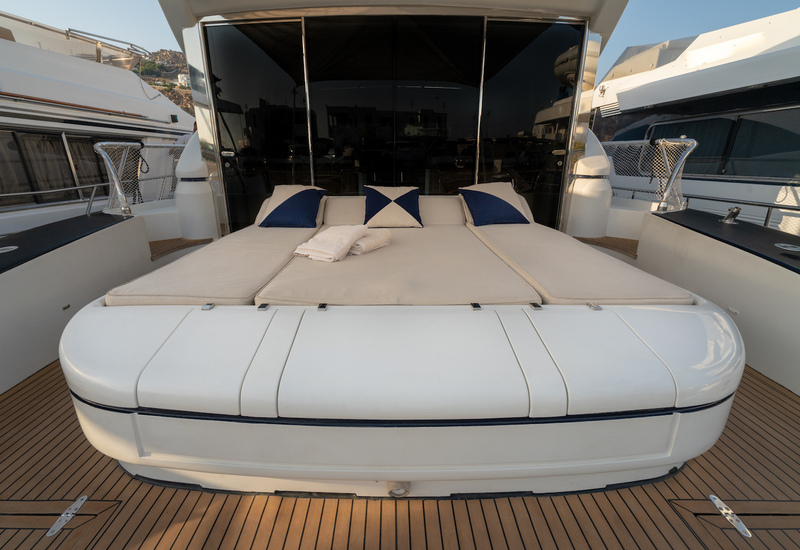 The main deck aft is fitted with a double sun pad and additional double sun pad can be found on the foredeck. 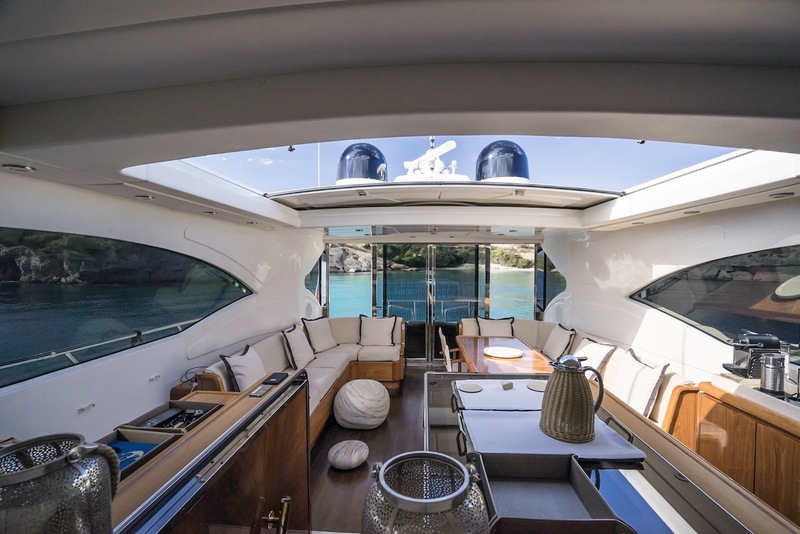 The main deck salon can be converted to an open-air environment by retracting the roof and opening the glass sliding doors to the aft. Within, there is a plush L-shaped sofa and opposite a smaller L-shaped sofa with a raised table for stylish indoor/outdoor dining. 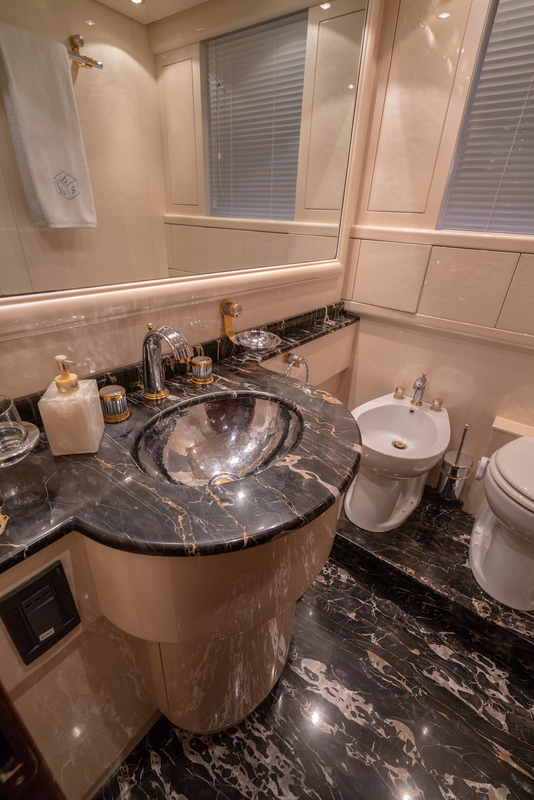 The helm station is placed forward and immediately behind is the galley with stairs centre leading down into the lower salon and guest accommodation. 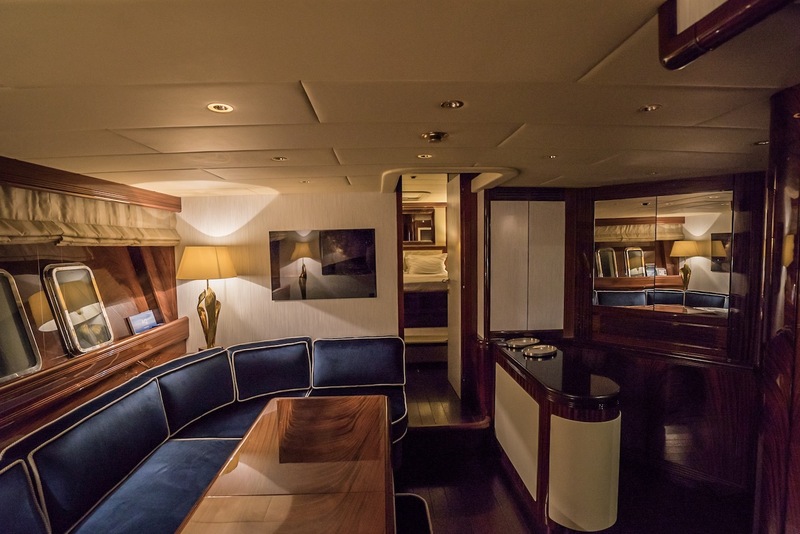 The lower deck contains an atmospheric salon fitted with an L-shaped sofa and elevated dining table for meals, spending time on personal pursuits and watching films on the wall-mounted TV. 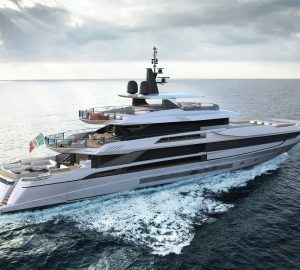 A pair of MAN 1500 HP engines provides a cruising speed of 35 knots. 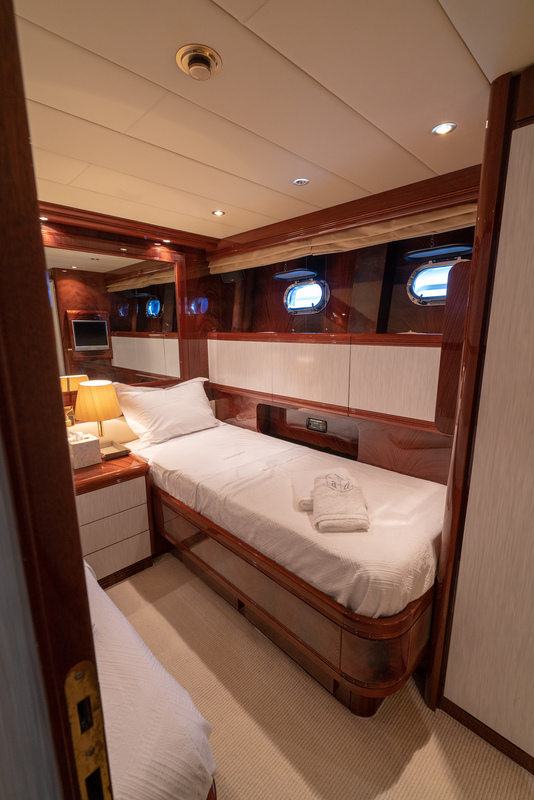 The accommodation sleeps up to 7 guests across 3 cabins: 1 Master suite, 1 VIP stateroom and 1 twin cabin with a Pullman berth. 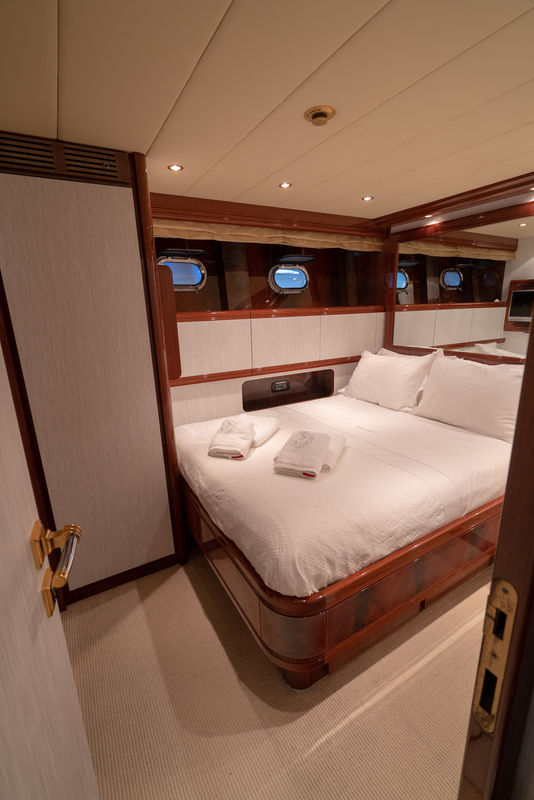 The crew of 2 will ensure that everything runs smoothly while guests are on board. 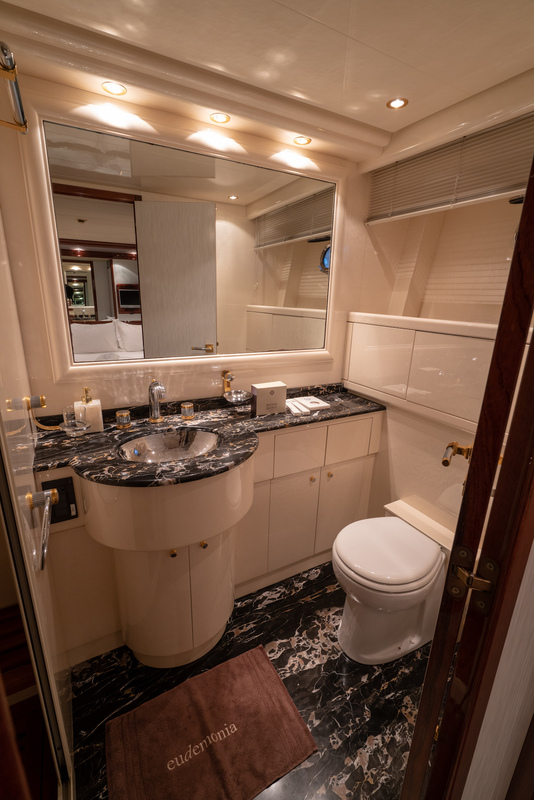 Tenders & Toys: ~ 385 Williams Jet Tender ~ Nautibuoy platform ~ Tubes ~ Kayak Audio Visual Equipment and Deck Facilities: ~ Retractable flatscreen satellite TV in the wheelhouse ~ Flatscreens TVs in each cabin ~ Bose speakers in all cabins connected to Bluetooth receivers. 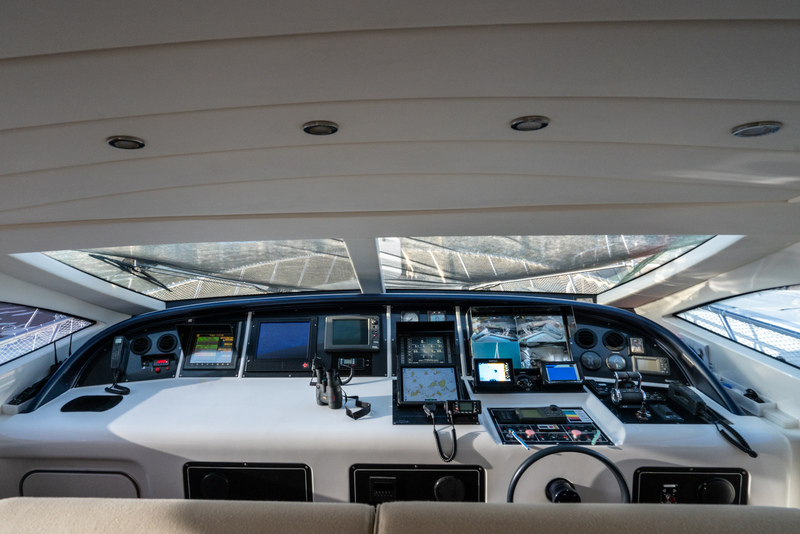 ~ 6-speaker system in the cockpit and 4 speakers around the aft sunbed, all connected to a Bluetooth-enabled Pioneer AV receiver. ~ Independent Bluetooth system for the bow sunbed.